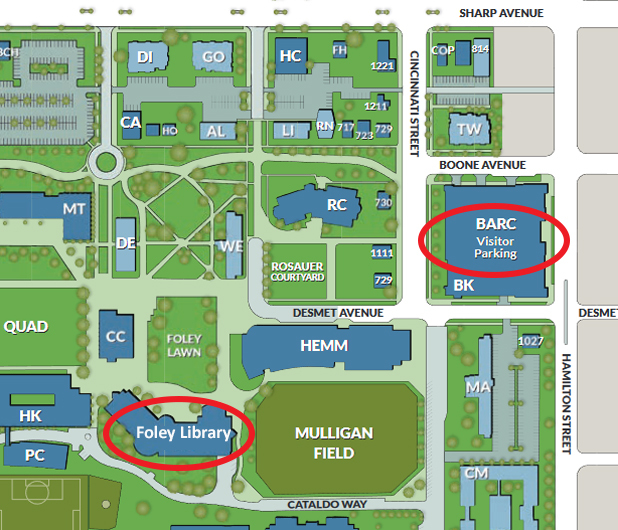 Foley Center is located at the heart of campus and does not have parking immediately outside the building. Limited visitors parking is available in the BARC parking structure on the 1st, 3rd and 4th floors, or you may obtain a visitor's parking pass. Information on obtaining a visitor's pass and other parking considerations can be found here. Our department can also email you a parking pass if arranged in advance of your visit. Foley Center is an aesthetically modern building located in the East-Central part of campus. 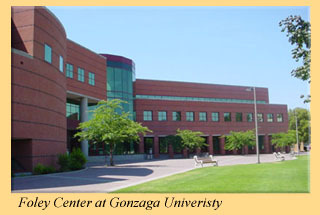 It is south-east of College Hall, and north-west of McCarthey Athletic Center (GU's basketball arena). The building complies with ADA standards, and a ramp is located at the north-west approach to the building. 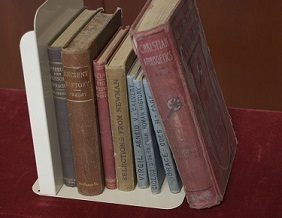 All visitors are subject to Foley Center Library's policies of use, located here. Many Spokane hotels offer discounts to Gonzaga visitors. More information located here. There are many on-campus and off-campus dining options available to GU visitors.